Nooteboom designs and supplies low loaders that have been leading in the special transport ever since we started manufacturing this means of transport in 1953. EUROTRAILER is a more commonly used name for these types of trailers (or EURO low loaders). The name low loader or lowboy trailer stems from the fact that the trailer contains a low load floor. 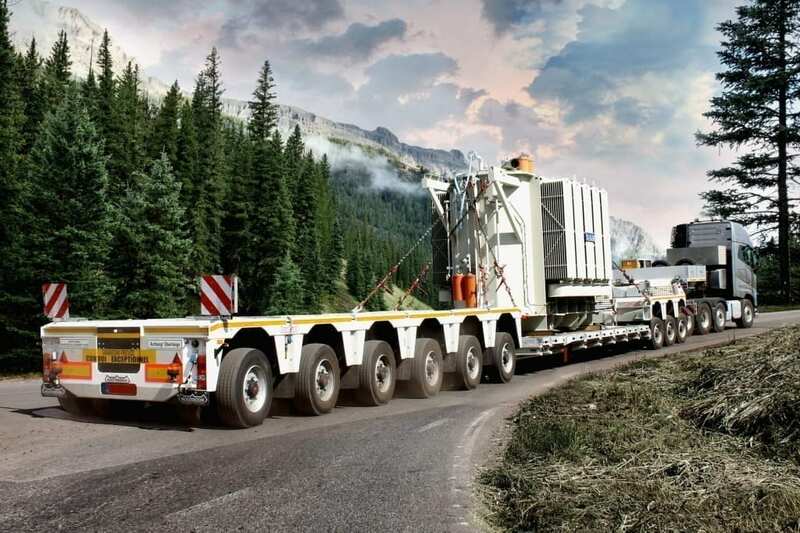 Nooteboom lowboy trailers have hydraulically steered axles or axle lines and are perfectly suitable for heavy transport, as it improves control convenience. The Nooteboom Euro low loaders are hydraulically steered and are therefore extremely manoeuverable. This enables you to restrain the costs spent on maintenance and tyre wear. Nooteboom brought the revolutionary EURO-PX on the market. 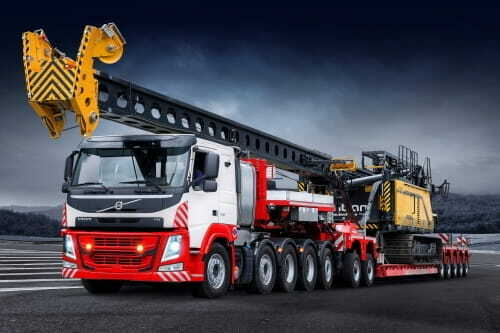 For the first time, a wide and deep through was combined with hydraulically steered pendle axles in the axle assembly. The Jeepdolly with steered rear axles is fitted at the front between the tractor and the gooseneck. This makes the EUROTRAILER perfectly manoeuverable. An Interdolly is placed between the gooseneck and the loading platform and is coupled with hooks at the front and rear. If a low loader is what you are looking for, you are more than welcome to request a quote. Which is, of course, free of charge. Together we will find a low loader that best fits your transportation needs, so that you will every day experience the greatest possible added value for your business.